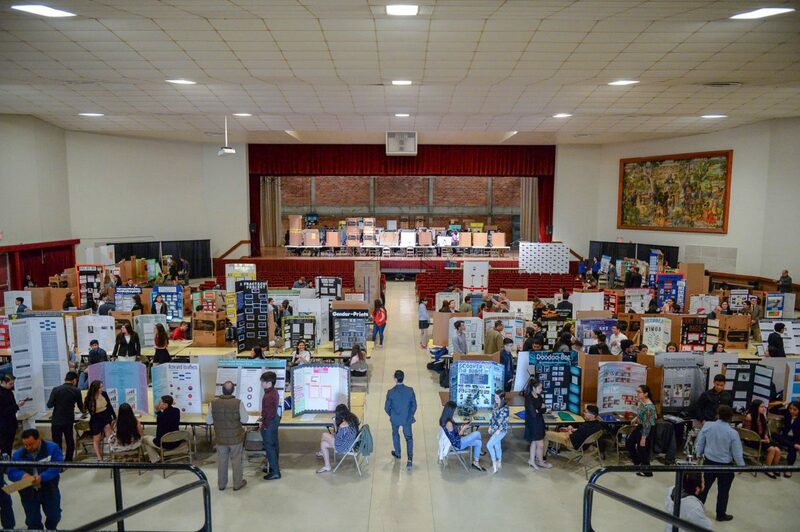 Students and judges fill the floor space during the 58th Annual Rio Grande Valley Regional Science Fair on Saturday, Feb. 3, 2018, in Brownsville, Texas. The fair featured approximately 700 middle and high school students from the South Texas region, requiring the use of three separate facilities to host every exhibit. Weslaco High School student Marc Serna said his interest in agriculture sprouted after a teacher, also a farmer, began bringing seeds to class. But the 17-year-old Serna soon noted a problem with traditional greenhouses. Without ventilation, overheated plants wilt. Leave a window open too long, and uninvited rodents make themselves at home. So he designed a solution: a solar-powered fan that automatically turns on when the greenhouse gets too hot. Serna was one of 700 students from across South Texas who took their ideas to the 58th annual RGV Regional Science and Engineering Fair at the University of Texas Rio Grande Valley. 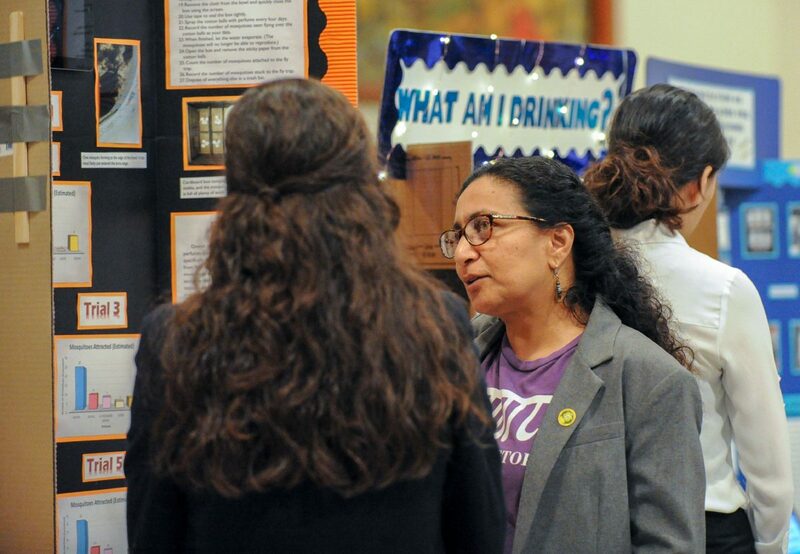 Saraswathy Nair, University of Texas Rio Grande Valley associate professor and chair of the department of health and biomedical sciences, speaks to a student about her project during the 85th Annual Rio Grande Valley Regional Science and Engineering Fair on Saturday, Feb. 3, 2018, in Brownsville, Texas. The fair featured approximately 700 middle and high school students from across the South Texas region. Fifty-one students each in the high school and middle school categories will move on to the state competition held in March in San Antonio. 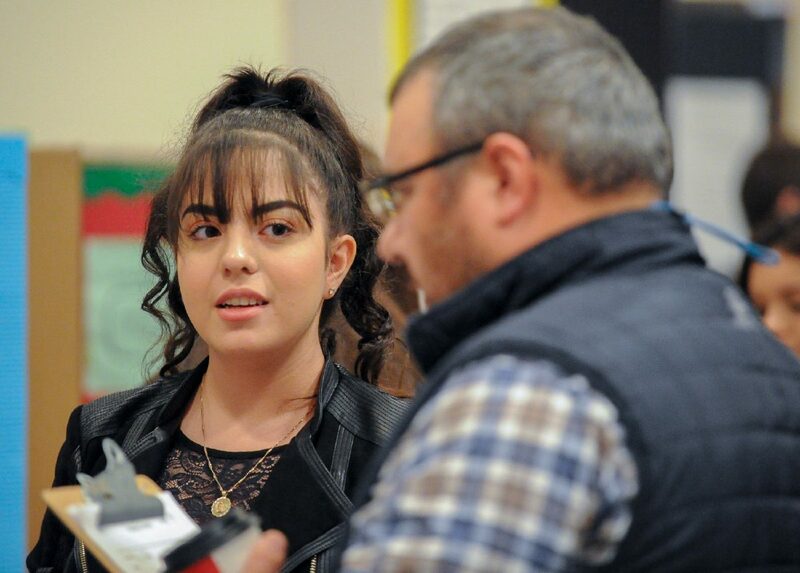 “Some of the research is beyond what’s being done at the college level,” said Javier Garcia, the university’s regional science fair director.